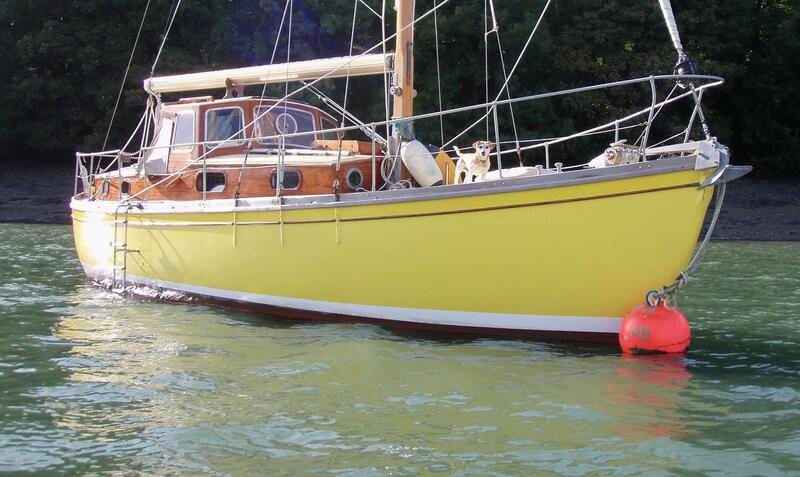 Sold……… similar Hillyards required, always a popular choice as a family cruising yacht. 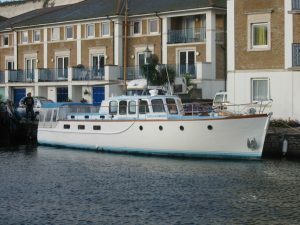 ‘Timboline’ is one of the popular 12 ton centre-cockpit sloops designed and built by the well known Hillyard yard on the River Arun in Littlehampton. These successful double-enders have achieved a world-wide reputation for voyaging anywhere with reliability and comfort. In 1961 Gareth Magraw was ‘ Timboline’s’ first registered owner who stationed the vessel at Itchenor. In the late 1960’s he sold her to Wilfred Brooks who moored ‘ Timboline’ at Chichester. 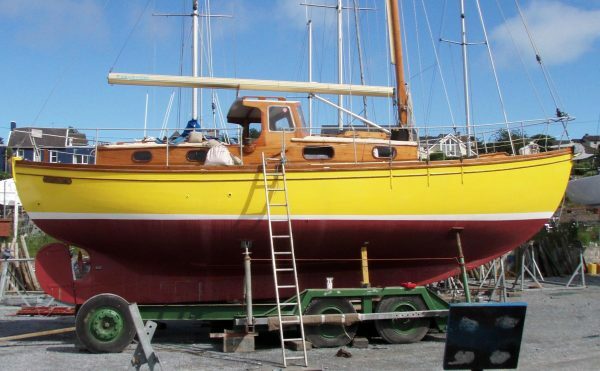 The following year he sold the vessel to Charles Jermyn of Cork and ‘ Timboline’ has since remained in Southern Ireland for almost forty years. 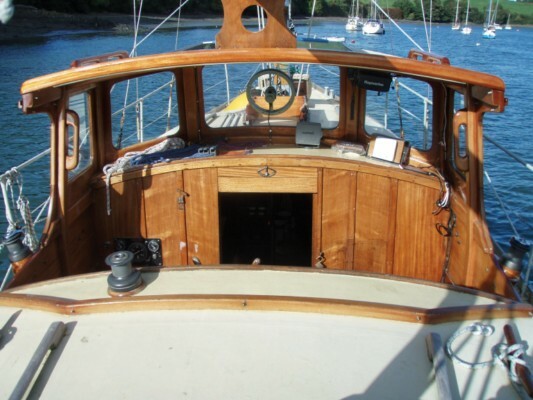 Carvel mahogany planked displacement hull, copper fastened to steam bent oak timbers. 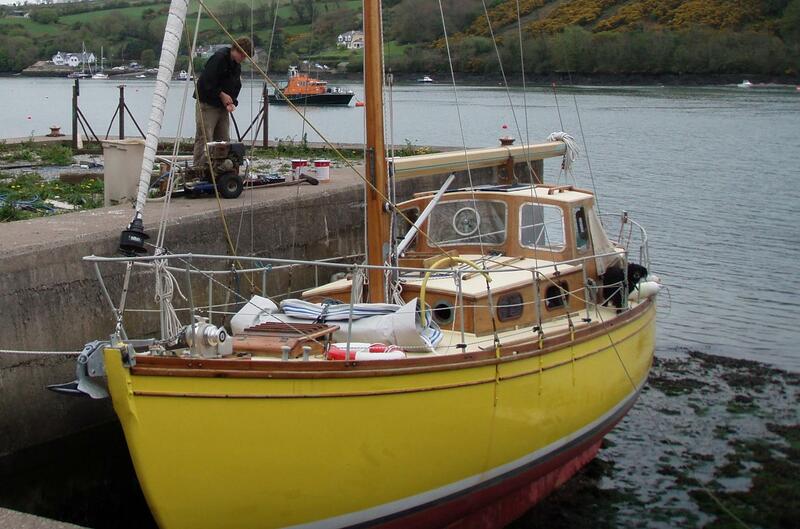 Round bilges, spoon bow, canoe stern and long straight ballast keel. 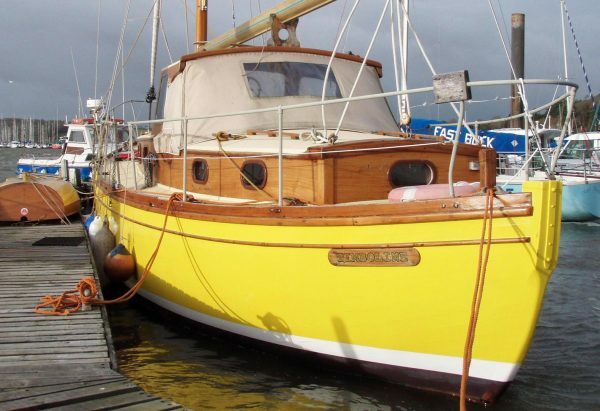 Fibre-glass sheathed pine planked decks, varnished mahogany coachroof coamings, dog-house and brightwork, all stripped and re-varnished 2009. Topsides also re-painted 2009. 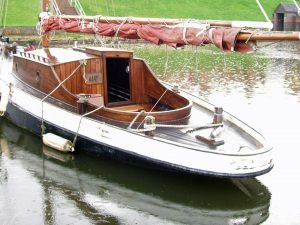 Traditional accommodation with polished mahogany joinery having fore and aft cabins and centre cockpit. 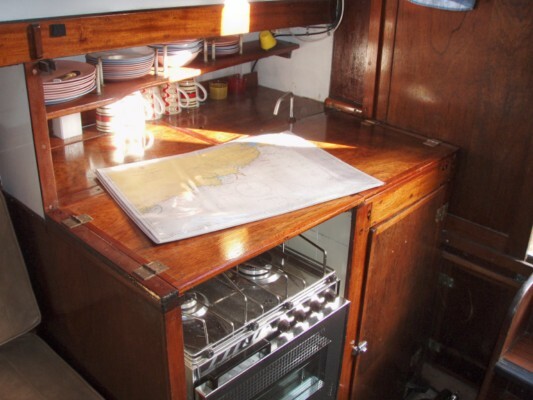 Galley: Equator two burner cooker with oven and grill. Gas fridge, stainless-steel sink unit, 40 gallons fresh water capacity and fire extinguisher. 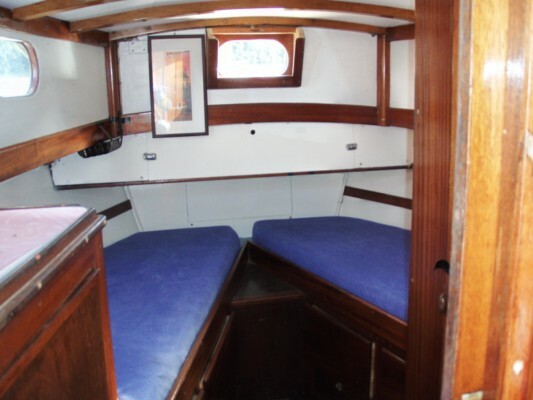 Aft Cabin: Single berths to port and starboard, storage lockers and ensuite heads with marine wc and wash basin. 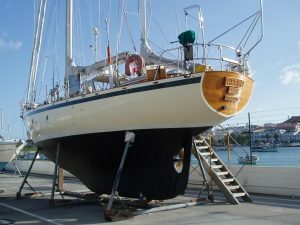 Spars & Rig: Bermudian sloop rig with deck stepped 37′ oregon pine mast, 18′ alloy boom with in-boom reefing. Stainless-steel standing rigging, three dacron sails. 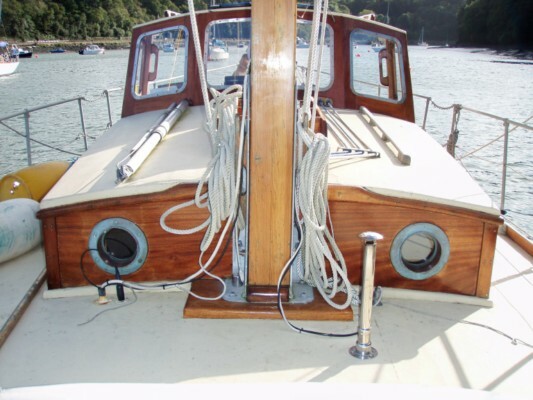 Electric windlass, 35lb bower CQR with 200′ chain, 20lb kedge CQR and Fishermans anchor. Window covers, cockpit cover, bathing ladder, bilge pump, solar panels (2008) fenders and warps and coastal flare pack 2008. 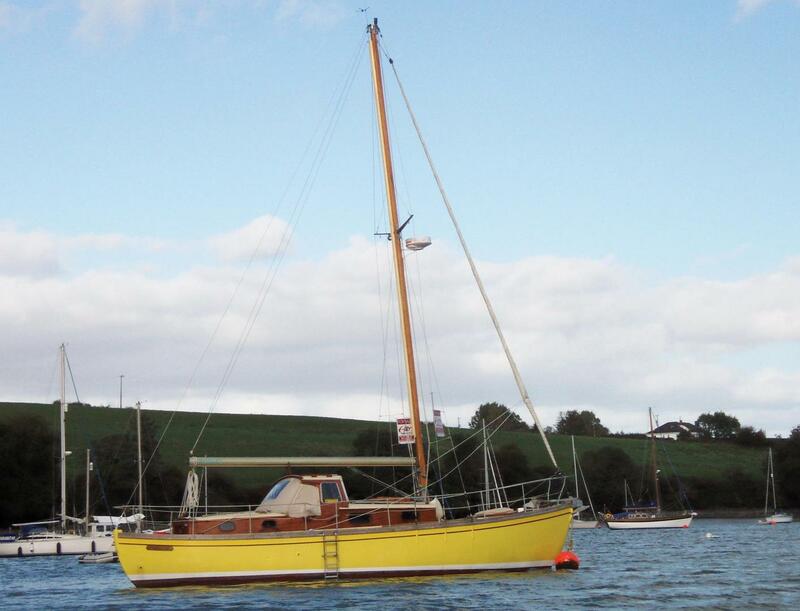 ‘Timboline’ is an extremely well maintained 12 Ton Hillyard an ideal size for coastal and extended cruising. 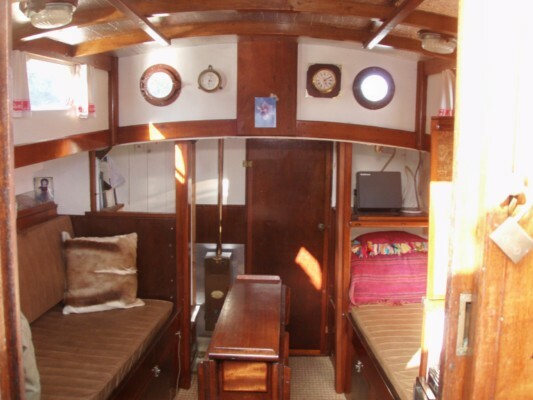 The design combines classic good looks with comfortable and generous family accommodation fitted-out to a high standard throughout and with the advantage of the centre cockpit. Offered for sale as rarely used due to other commitments.